Amazing intrigue! The reader is immediately at the edge of their seat in the opening scene, where we witness Dr. Christian Monro's physical and emotional trauma while being murdered. We are brought into the death scene, each agonizing step of the way. The detail and the pace are excellent. The suspense is high voltage. The protagonist Detective Sergeant Jamie Brooke once again is challenged with high stakes. As in the first book of the series, Jamie is going through hell emotionally after the loss of her child, but she is also engaged in the case and wants to understand the true crime. The heroine strives to remain objective while gathering evidence, hoping to see the truth. 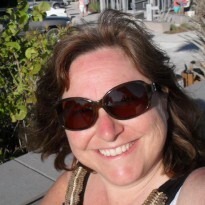 Along the way many twists in the case elude her, and attempt to veer her from the true crime. She follows the leads and takes the reader down a road of unexpected horrors. Jamie is not faint of heart, but a woman who makes the tough decisions; she is the protector of her co-workers and friends. There is hope - as she is faced with danger even in her most fragile hours, yet somehow finds the strength to prevail. The subject matter of this novel immediately jolts interest - the history of mental illness treatment and the reminder of abuse done to the mentally ill. This is a topic I too have strong feelings about, and so this story truly hit my heartstrings. The research was done well, as to be expected by this author who always delivers well developed background. This story is not for those wanting a light read, because the reader will be left with some concepts to think about - maybe even choices on how to view others who may not be as fortunate as most. In this world it is too easy to forget about those who suffer with mental illness. Society has swept them from public view, but we know in our heart that more needs to be addressed. I thank the author for writing this riveting story and bringing this topic to the forefront. To date this is my favorite of J.F.Penn’s books. I truly enjoy reading about Jamie, and this is a great series. 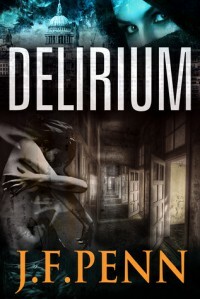 Delirium is for anyone who enjoys detective horror thrillers, and is a definite must read.